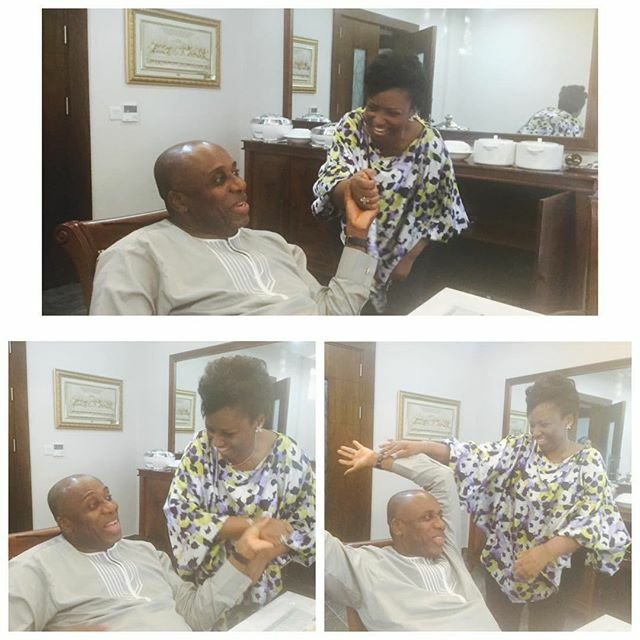 Check out ex Rivers Governor Amaechi and his beautiful wife Judith having a good time. I love this looks in your face my able minister to be Insha Allah. 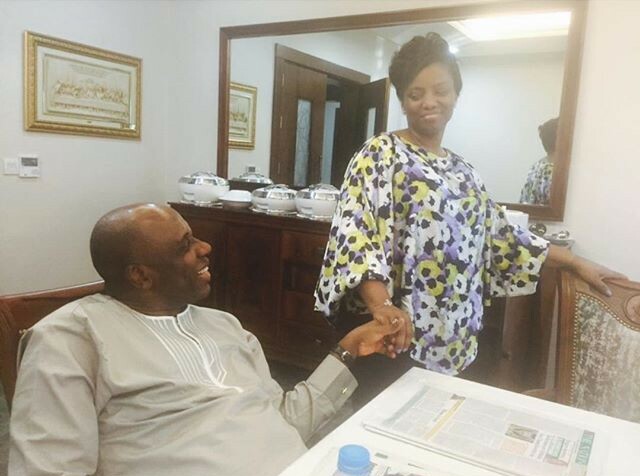 I don’t care about the whole pressures, Ameachi remains my friend and a role model. Lets take sentiments away, nothing good happens without avalanche of satanic attacks preceding it. President Buhari never contested once, but 4 times before he became the president. Because of Jesus’ birth, the king order the killing of the whole children below 2 years. May God put the whole enemies of Nigeria to shame and crown those who will bring positive change. Amaechi, my brother, panic not; what must be must be. Even if you weren’t nominated, God has a nicer seat for you. The IROKO of Niger delta. The Husband of PDP. God is behind you my brother. [Oluwarotimi Your excellency ,Minister Sir,Welcome to Abuja Sir. Thank you my sister Judith,every successful Man must have a woman like Judith.Love from Ondo state.